Disney-Marvel’s box-office hit Black Panther, the Dora Milaje warrior spirit in me surfaced and brought forth my financial planner’s spear! This mystical, ancestral scene piqued my curiosity regarding how King T’Chaka’s legacy would unfold in T’Challa’s reign as the new king of Wakanda. Preparing the next generation for leadership includes guidance on managing resources and wealth. This lesson is gender neutral despite the gender-specific reference made by King T’Chaka. In another poignant scene T’Challa’s mother, Queen Ramonda, also affirmed the parental and community influence in grooming T’Challa for his ascension to the throne. The state of affairs for the Wakandan royal family reflects the same situation for most households — the desire to build, protect and distribute wealth as they execute the enterprise’s vision and manage day-to-day operations and cash flow. The defining indicator of success for these leaders resides with the legacy inherited by their successors. Let’s uncover together the four Wakandan secrets of multigenerational wealth. 1. Don’t wait until death to teach and model wealth principles. King T’Chaka and Queen Ramonda expose their children to the Wakanda rituals and expectations, with Prince T’Challa and Princess Shuri receiving training for leadership roles as managers of Wakandan wealth and resources. T’Challa and Shuri also witness firsthand the magnitude of power and test of strength necessary for wise decision-making as leaders of Wakanda. The royal handoff was well-established before King T’Chaka’s death. Will your funeral be a celebration of a life well lived or a refereed match among your children and other family members as they fight for the jackpot inheritance? Even worse, as your casket descends into the earth or your ashes are scattered across the river, will your children be thinking of you or rapper Cardi B — with a “Drop top Porsche and Rollie” on their wrists? Have the conversations early with your children about the responsibilities, sacrifices and investments you made to support the family and build a legacy. Talk in real numbers, in real circumstances. Help them understand how to run a household and manage credit, budgets, savings and investing. Check on their progress and share your progress, too. 2. State wealth vision and wealth distribution to beneficiaries. 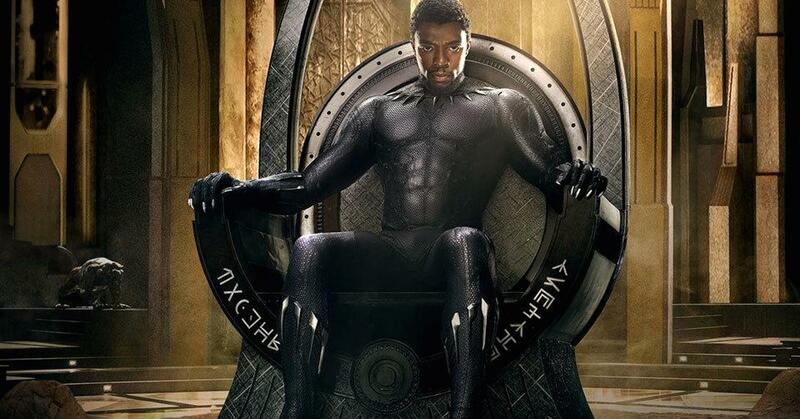 King T’Chaka and his wife, Ramonda, rule Wakanda, a nation rich in “vibranium.” The Wakandans use this fictional metal for technological advancements and for a potion that transforms the king into the invincible superhero Black Panther. The royal family and nation acknowledge Wakandans’ rights as the sole beneficiaries of the vibranium-based wealth. The outside world is denied any knowledge or receipt of the valuable metal, which is restricted to Wakandan land as protection against exploitation. Will the courts distribute your assets according to your will or trust, or will a judge strike the gavel and distribute assets according to state law? What will happen when your children, like Jay Z, catch the eyes of the predators and witness corporate greed and deep pockets at work? Write down your wishes, and share them with beneficiaries. Consult legal advice on drafting your will or trust. Build a loyal advisory team and have family meetings. Name and update beneficiaries for your life insurance policies, bank accounts and retirement accounts. 3. Costly omissions can surface beyond the grave. King T’Chaka failed to mention one crucial detail to T’Challa before his death — King T’Chaka had killed his brother and radicalized spy, Prince N’Jobu, and left N’Jobu’s son, Killmonger, in exile. Killmonger, as an act of revenge, assists the enemy in stealing vibranium and decides to return to Wakanda to assume his rightful place as the king’s successor. Killmonger’s reign, however, is short-lived; the kingdom fights a civil war in order to reinstate King T’Challa as ruler. Are you afraid of what may surface or who may show up when the news of your death breaks or after your casket is closed? Will your funeral be a sequel to the film Death at a Funeral, where blackmail is delivered instead of peace lilies? Avoid generational strife by fessing up before you die. Set free the secret holders and implicated parties. Don’t leave hell on Earth when you can create conditions for inspiring heaven on Earth. 4. Recognize that wealth, in the hands of beneficiaries, becomes subjective. King T’Challa empathizes with Killmonger’s disillusionment with Wakanda and his rage at the Wakandans’ insular approach in retaining the vibranium for their use only. While Killmonger claims he wants to share the vibranium to improve conditions across the African diaspora, his resentments consume him, posing a fatal threat to the Wakandans. King T’Challa does heed Killmonger’s challenge to provide aid and publicly states in a U.N. address Wakanda’s new commitment to invest in global efforts. The pronouncement seems disconcerting, as most delegates have viewed Wakanda as a Third World country, based on King T’Chaka’s former appearances at the United Nations. King T’Challa also uses the nation’s resources and wealth to build outreach programs for the benefit of African communities. This executive decision remains in the hands of King T’Challa, despite his father’s wishes and the expectations of the Wakandans. Will you be able to trust the integrity of your training, guidance, shared wishes and family advisors in building upon the legacy you create? Are the conditions ripe for multigenerational wealth? Use estate-planning tools, such as trusts for structuring multigenerational wealth opportunities. In financial planning, preparing for death begins as soon as life begins. Life is fully lived when you wrestle with and engage your life’s assignments or purpose, find value in the journey, and prepare beneficiaries along the way. Some people embrace this view with wisdom, discernment and satisfaction, while others cringe at the vulnerability associated with life’s missteps or by the sheer inability to cope with the loss of life.